This is a live post and I will be updating it as i come across more unique tools. Subscribe yourself to get updates. 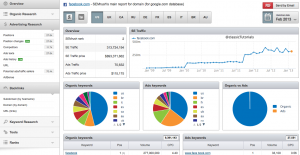 Google Webmaster Tools Google Webmaster Tools provides you with detailed reports about your pages' visibility on Google. To get started, simply add and verify your site and you'll start to see information right away. I know most of you guys will already be aware of Google webmaster tools but still for people who are just starting on SEO this is a good place to start. So adding it. URL: Google Webmaster tools Make sure you don't forget to see the Bing webmaster tool also. 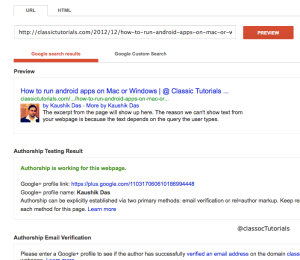 Google Structured Data Testing tool (aka Rich Snippet Testing tool) Use the Rich Snippets Testing Tool to check that Google can correctly parse your structured data markup and display it in search results. You can also check if author information is coming up properly or not for your blog/site along with right google+ profile is added to the site or not. 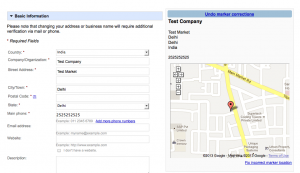 Google Places for Business If you have a business online its very important that you add a address details of your website with google. If you really don't have any address its fine to add a warehouse location or the owner address. This will help people to find your store location, contact information, support information easily and the most important thing will help in building TRUST. SEOMoz tools (30 days free trial) SEOMoz has great number of varieties of tools to look for. These are not for newbies. These tools provides lot of information like Social Integration, Page rank, Campaign etc. Though its not free you still get 30days all access trial to enjoy. Use it to atleast get an idea what to improve and what is fine. SEMrush How about knowing your competition better? 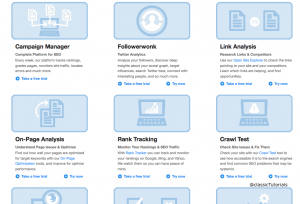 This tool will give you insight about any website you want. Just type the URL of the site and it will provide you the details. Try it to know how much fun it is. Try facebook.com or google.com or any other website to get some insight of it. Note: The data provided is historical data so you need to be happy with a couple of days old data. Its not real time.